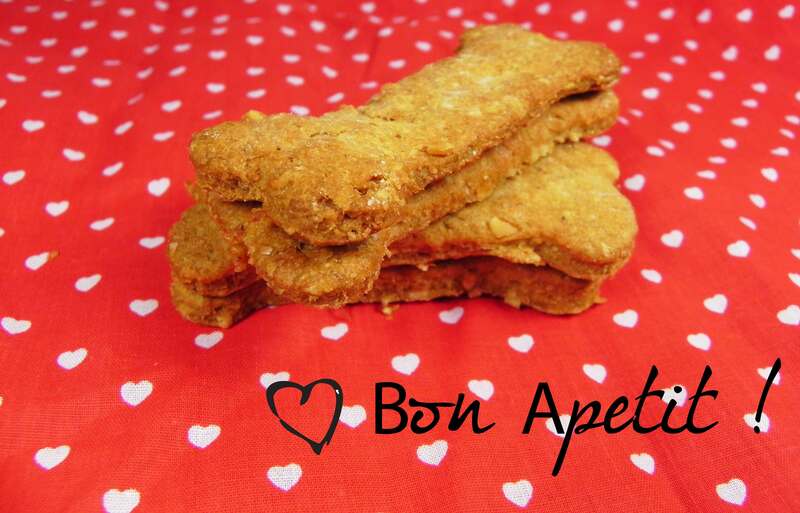 Home » DIY - Dog Related Projects » DIY dog treats – easy recipe ! I know I am a crazy dog lady when I spend time baking for my dog and yet feed myself cereal, protein shake and snacks to save time! But I just can't resist .... LUIGI simply goes crazy for those homemade dog treats ! Preheat the oven to 190 degrees C. Grease a cookie tray . When well blended. Turn out dough onto a lightly floured surface and knead until smooth. Roll out to 1/4 inch thickness and cut into shapes using cookie cutters. Place 2 inches apart onto the prepared cookie sheets. Bake for 20 minutes in the preheated oven, or until lightly brown. Remove from cookie sheets to cool on wire racks or leave them in the “turned off oven” – that way they will become harder and dryer . It makes loads of cookies ! Unless you have 5 big dogs I suggest you freezing them or simply sharing the love ! 7 Comments on DIY dog treats – easy recipe ! So glad I found this blog! You should add a “Pin It’ button to the end each post for easy sharing on Pinterest! ps…so makin’ these cookies today for my Ozzy! Great thanks so much for the sugestion !! I’ll definitivly add this when I have a bit more time 🙂 Let me know how Ozzy like the treats ? Great recipe. Where did you get the shape cutter? At the dollar store and I think they might have some at target.